Welcome to Anugama's Download Shop. 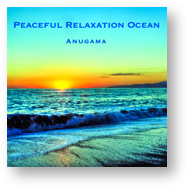 Anugama created this music for his personal use. This is a tool for easy restful relaxation. He listens to these tracks with a Sony noise cancellation head phone to deeply relax while flying long distances. This compositions are recommended for Relaxation, Meditation, Reiki and Sleep Aid. Compressed in zip format - Extract after Download!